Paul DeGeest, former Mahaska County sheriff, is seeking election in the June 5 Mahaska County supervisor primary election. 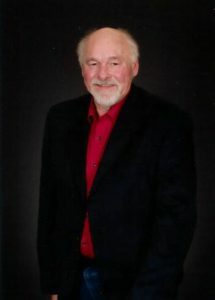 DeGeest is a lifelong Mahaska County resident and started working for the Mahaska County sheriff’s office as a deputy in 1977. Once promoted to chief deputy he was in charge of investigations for 18 years. DeGeest was then elected to the position of Mahaska County sheriff for 12 years, retiring in 2017. As sheriff, DeGeest was in charge of developing and operating an annual budget of around $2.5 million. He says he came in under budget every year and thinks his knowledge of how government budgets work will be a valuable asset while serving at the supervisor level. “I believe we need an efficiently run city and county government to help keep the tax rate down and create a viable economy for the future,” said DeGeest. In addition to fiscal operations, DeGeest says his years in a leadership role have helped him learn how best to deal with situations of conflict and make rational decisions. “If there is one thing I’ve learned, it’s there are two sides to every story, and you need to listen to both in order to make a rational decision” said DeGeest. Secondary roads and mental health services are two of the areas DeGeest plans to spend time on if elected. He says both are major expenses and critical for the county. “Farm to market roads are extremely important. Our gravel roads weren’t built for 80,000 pound vehicles and equipment,” said DeGeest. Visiting with every employee at the secondary roads department will be one of the first things DeGeest plans to do if elected. “A good manager is only as good as their people and getting to know them is important,” said DeGeest. All residents of Mahaska County are eligible to vote in the June 5 primary. Residents may vote absentee now at the auditor’s office in the Mahaska County courthouse, Monday through Friday, 8:00 a.m. to 4:30 p.m.
For more information on Paul DeGeest visit his Facebook page at Paul De Geest For Mahaska County Supervisor. Posted by Press Release on May 17 2018. Filed under Local News, Politics. You can follow any responses to this entry through the RSS 2.0. Both comments and pings are currently closed.